Here at Wayne Lee MD Plastic and Reconstructive Surgery, we understand that a breast cancer diagnosis can be very emotionally and physically draining, including a sense of loss with a mastectomy or lumpectomy. If you feel this way, breast reconstruction by Dr. Wayne Lee can help to improve your self-confidence and help to ease your recovery process so you are able to feel more like yourself again. Dr. Lee approaches each breast reconstruction patient with individualized attention and compassion. Beginning with your initial consultation, Dr. Lee will discuss and recommend the treatment option that best fits your desires. Autologous: Breast reconstruction using a patient’s own tissue. Dr. Lee performs TRAM flaps and Latissimus flap breast reconstruction. Fat grafting is also an option at WLMD. Fat grafting helps to thicken and rejuvenate damaged tissues, particularly from the mastectomy and radiation therapy. Implant-based: Breast implants are used to rebuild the breast form after a mastectomy. Implant-based reconstruction is performed in stages; the first stage is the placement of tissue expanders while the second phase is the exchange of tissue expanders for permanent implants. 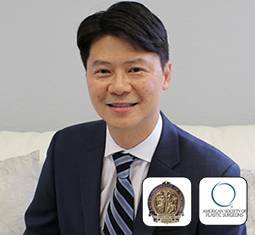 Double Board Certified Dr. Wayne Lee is a breast reconstructive surgeon who specializes in helping women repair one or both breasts following a mastectomy in an immediate or delayed fashion using implant-based reconstruction or an autologous approach. 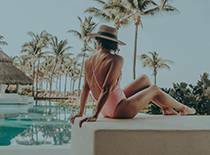 Women who have undergone a mastectomy (“breast cancer surgery”) or a lumpectomy may be interested in correcting their loss of breast tissue with plastic surgery, which can help to restore their natural breast shape and sense of normalcy.Dr. Lee’s meticulous attention to detail and artistry will be available to help you restore your healthy self-image. With Dr. Lee’s wonderful bedside manner and excellent staff, you can expect to be treated with compassionate, individualized care. Dr. Lee will attentively listen to your concerns and questions and will take the time to tailor the breast reconstruction to fit your needs, providing you with a natural-looking result. Dr. Lee uses cutting edge technology and surgical techniques to provide you with the best outcome possible. When appropriate, Dr. Lee performs pre-pectoral reconstruction, which means the breast implant is placed above the chest muscle. The advantages to this are less discomfort during expansion and better aesthetic outcome including less animation deformity and less rippling and wrinkling. Dr. Lee uses the innovative Aeroform® tissue expanders for breast reconstruction when fitting. The advantages to the Aeroform® tissue expanders is that rather than having to come into the office on a weekly basis for expansions, our patients are able to self-expand in a needle-free manner using a handheld dosage controller to release carbon dioxide. Dr. Lee prides himself in maintaining a lower than average infection rate and is always updating his practices to the newest and optimal techniques including the use of PhaseOne® Wound and Skin Cleanser, which is a non-toxic formula that helps to penetrate and disrupt biofilm, killing bacteria and fungi.